Both staff and students at Turney School have been so excited about the Queen’s forthcoming Diamond Jubilee celebrations that we decided to hold our own Jubilee party slight early. Pupils from across the school have been learning about the Queen and the role that she plays both in our country and the Commonwealth. 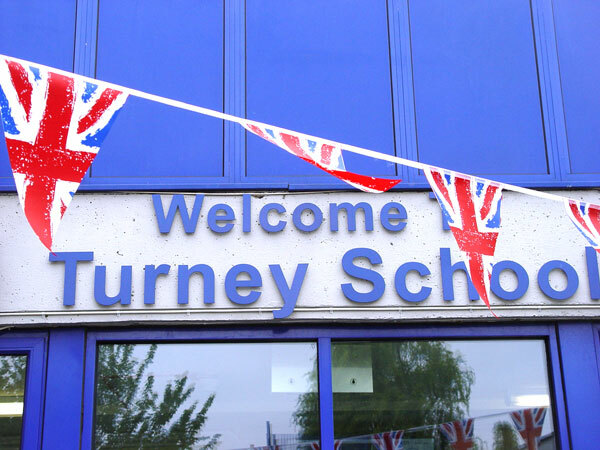 In preparation for our party we decorated Turney School with some Union Flag bunting. The big day itself was celebrated with a brilliant Turney School BBQ. Our fantastic kitchen staff came up with a menu that was fit for the Queen! We finished off our Turney School celebrations with a Turney School Jubilee Disco. It was great to see all of the pupils across different age groups coming together to have some fun. You can find out more about our Jubilee events in the podcast below.